In early February 2016, we travelled to India with Angus and Catriona Smith for along overdue visit to the Duncan. It had been 2 years since our last visit so we were eager to see the progress made by the recent Karuna project and to meet the many new members of the Duncan team. Our journey was long and tiring ending with a gruelling 7 hour car journey along unfinished treacherous roads but instantly forgotten when we arrived to a wonderful warm welcome from Uttam, the Medical Director, and his team. 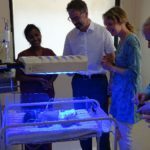 During our 4 day visit our hosts were delighted to show off the new medical staff accommodation and share with us the success to date of the Karuna Project within the outlying communities. We had the opportunity to visit several villages where the Duncan Team have been engaging and building trust with the people. The project is focusing on educating in maternal healthcare, nutrition and sanitation, thus gradually changing deep rooted social behaviours. We were very privileged to meet groups of young girls eager to talk of all they had learned through participation in the programme. It was quite humbling to listen to them proudly talk of the importance of personal hygiene – a year ago these girls would not have been allowed a voice. Over 46,000 people have benefited from the project so far, most notably young mums who are now receiving good quality antenatal care previously not available to them . Gradually young girls are being empowered through education and the encouragement of strong female role models – this represents a huge cultural shift and one that will hopefully change the lives and health of future generations. 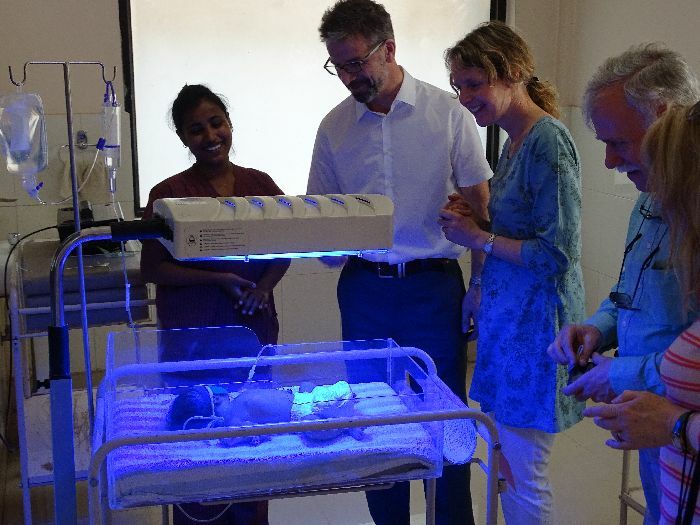 The hospital itself has benefited from much needed equipment such as phototherapy machines and vehicles but most importantly from the recruitment of staff . Very sadly since our return Dr Joanna Peacock has passed away. Joanna, along with her husband Matt, worked selflessly at the Duncan for over 10 years and remained supportive of the Duncan community to the end of her days. She was an inspiration to us all and her faith and gentle, generous spirit will be missed by all who knew her, but particularly by all the many members of the Duncan family who remember her so fondly.